Due to the deteriorating human rights situation in Zambia where state sponsored agents of the ruling Patriotic Front members are killing opposition Members at the instigation of Zambian dictator Edgar Lungu, the international community has raised a red alert on the once peaceful southern African country, Diplomatic sources in Lusaka have hinted. As at June 29, forteen (14) killings instigated by the ruling party have been recorded with the latest UNZA student slain being put to rest today in Namwala. “We have noted with deep concern the degenerating human rights situation in Zambia. Clearly the incidences of violence being witnessed is being funded and supported by the leadership of the Patriotic Front and President Lungu in particular. “We have so far recorded 14 cases where opposition Members especially members of the UPND have been killed and we are keeping record of all these, ” said the Diplomatic source. The source said there were also concerned that the ruling party had now targeted the media. “We think this is systematic and well planned. 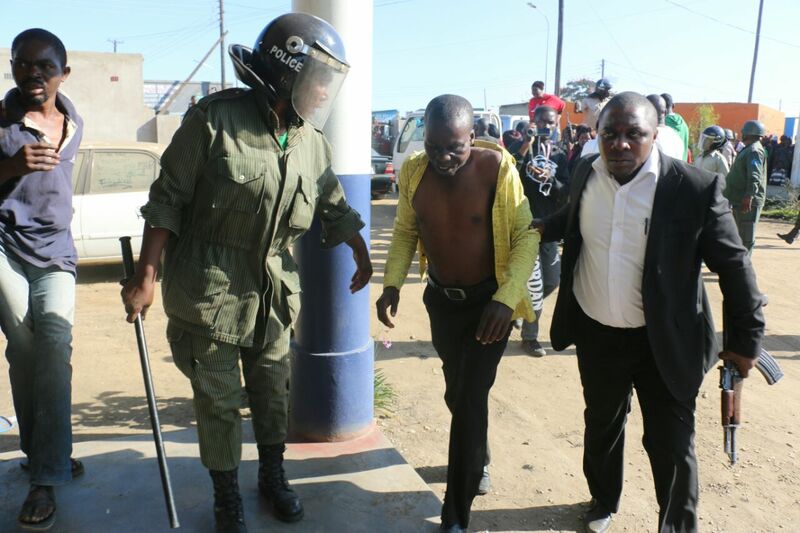 The closure and arrest of Fred M’membe is part of the clamp down and we now doubt Zambia will have free and fair elections going by the happenings, ” said the source. The Diplomatic source revealed that they are aware of all the dirty schemes by the ruling party aimed at fueling anarchy and terror ahead of the elections. “We are also monitoring some Lodge in Lusaka’s Chalala area owned by a musician and son to a prominent politican where the ruling party has set up a media centre where youths gather to slander people online and defend the PF mischief. If you notice on the Watchdog when ever you have a story against the ruling party or especially on the Post there are a number of comments discrediting the Post. This is being done at this lodge where youths have opened up different Facebook accounts. This project we here is being funded and supported by Emmanuel Mwamba the Zambia ambasabor in South Africa. The diplomatic community is concerned that Zambia has been an oasis of peace and that the country was fast sliding into chaos under the PF.